“It is a keeper” is often the first words out of a fishing guide’s mouth when guests first get the salmon to the boat. 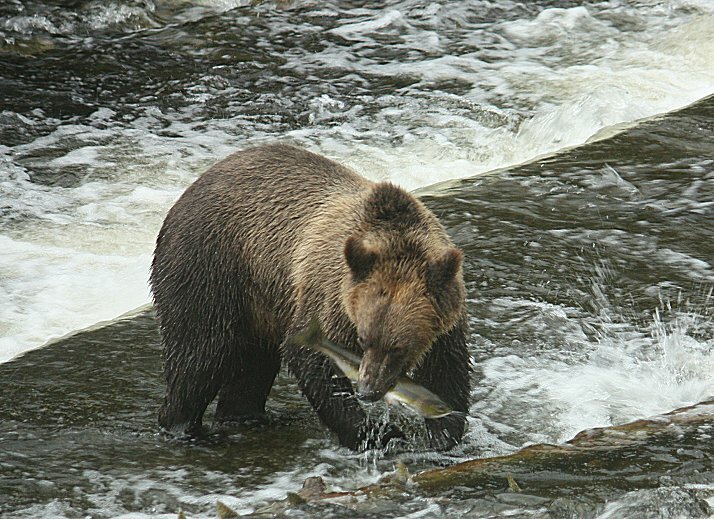 In this case the grizzly bear must be thinking the same thought, as bears are selective when deciding which salmon to keep at certain times of the season. The selection is based on “male or female”; the fat rich eggs are a prime concern to speed up the weight gain to ensure a successful hibernation. The tell tail feature for human is that male pink salmon have a rather large and distinctive hump on their back and thus the nick name “humpy”. 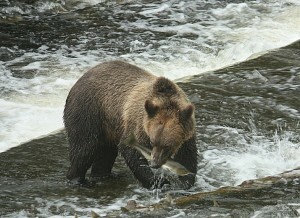 As Lynn’s photo shows this salmon lacks the hump so it is a female and to the grizzly “it is a keeper”. 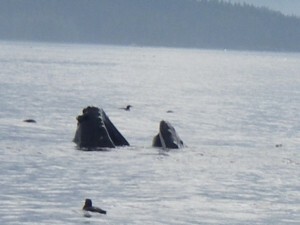 These photos represent the opposite of a lunge feed for a humpback whale. 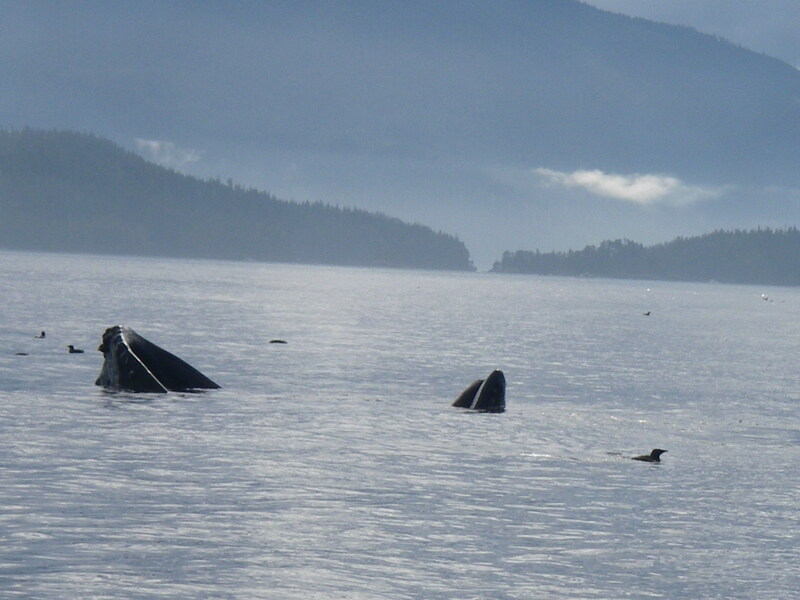 The whale watching tour from the lodge travels to an area known as Bold Head that is on BC’s inside passage or route to Alaska. In this picturesque area the whales come to feed on the abundant herring. A lunge feed is when the whales suddenly come up beneath a ball or school of herring with their mouth open and lunge out of the water. In today’s photos the opposite happens. The whale opens it’s mouth as wide and comes up very slowly often spinning in a circle for up to a minute before closing it’s mouth very slowly to trap an many herring as possible.